My academic background has helped me to explore and understand some of the complicated aspects of the criminal justice system when addressing crime, criminals, profiling, and crime scene investigation. This is one of main reasons that I chose this field because of its diversity and challenges. 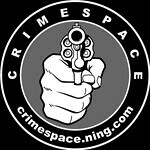 There are so many facets to crime and that is the main reason why there isn’t just one easy answer to solve the growing problem. Experts, academics, law enforcement personnel, and politicians all seem to disagree on the solutions to help curb and combat crime. What are the psychological aspects of crime and how does it affect individuals and communities? James Q. Wilson, a political scientist at Harvard, and George L. Kelling, a criminologist, first addressed their findings of the broken windows theory in an Atlantic article back in 1982. In simplest terms, this theory suggests that run-down neighborhoods and disorderly community environments send a strong message that no one cares and there isn’t anyone in charge. This in turn creates fear, weakening of community control, and can breed all types of criminal behavior. 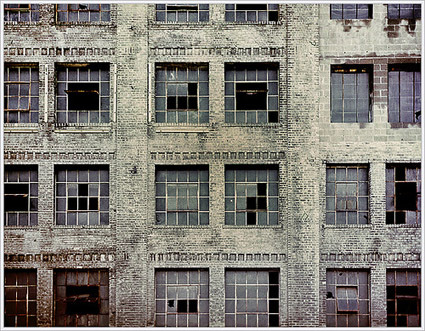 This broken windows theory has been widely and hotly debated since its conception. Social psychologists along with police officers generally agree that if a window is broken in a building and it doesn’t get fixed, then the rest of the windows will soon be broken. It shows that no one cares and the morale of the community soon declines as a result. Think about it… people then become fearful that they will become a crime victim and don’t want to get involved when there is a crime witnessed. This is a deterioration of a community as the crime increases. It’s an actual breeding ground for crime that takes on a life of its own. I find the broken windows theory to be insightful and provocative in the understanding of crime hot spots. This theory was addressed thirty years ago and still has an important lesson for today’s crime deterrent applications across the nation. In 2009, The Boston Globe published an article that there was a breakthrough in “broken windows” through the Lowell Experiment. Basically, 34 crime hot spots were identified and the authorities cleared trash from sidewalks, fixed broken streetlights, and disbanded loiterers. Abandoned buildings were secured and businesses were forced to comply with codes, more arrests were made for misdemeanor violations, and more referrals were made for mental health and homeless services. The result was a 20 percent decrease in calls to these areas that needed more law enforcement attention previously. The article further stated, “The debated “broken windows” theory really works – that disorderly conditions breed bad behavior, and that fixing them can help prevent crime”. I find the broken windows theory to be a solid theory that should be implemented in more communities in need of help. It’s a place to start and should be a part of all law enforcement protocol. Now more than ever, we need to work together in a collaborative effort with law enforcement to combat crime in our communities. Do you think by cleaning up a neighborhood that it helps the community psychologically and helps to deter crime? This entry was posted in Criminology and tagged broken windows theory, crime, crime thriller, dark mind, james q. wilson, jennifer chase author and crim, political scientist, psychological impact of crime, punishment, research. Bookmark the permalink. I should think it goes without saying, although I think the cause of crime in a neighbourhood cannot all be attributed to just one broken window. To cut crime, we need a concerted effort to clean up the streets, and to instill among the residents a sense of community, belonging, and above all, pride in their neighbourhood. It is an idea I had never considered but makes a great deal of sense. I often wondered, even during my days as a police reporter, why the same bad streets in town seemed to have most of the crime. Now I know. And the tragedy is that the good folks living in the neighborhood live in fear. The world around them crumbles, and they have no way and no money to change it. Thanks for the comments! 🙂 Yes, it’s a shame that the same areas seem to have most of the crime, but I’m seeing that these “types” of areas are spreading out into new areas now. I see this in California… small towns and areas that have never had a homicide or gang violence, now are experiencing these types of crimes. I believe that everyone can make some type of difference to help make more positive changes 🙂 Sometimes it’s just the small things that make a difference. Excellent post! I think your broken theory explanation works well in so many areas. One example is depression. Letting one aspect of our lives deteriorate leads to not caring about other aspects. Pretty soon a person just gives up because to take care of everything is just too overwhelming. Art. The broken window theory is an extrapolation of what happens when you leave the house cleaning too long or, as Art points out, when we stop taking care of ourselves. The remedy of cleaning up and taking care of the neighbourhood (or house/self) reminds me of the concept of “faking it until you make it”. By acting as if the community (house/self) is worth caring about, you start believing that it’s worth caring about. Very interesting. And it makes a lot of sense. I’ve seen the same sort of decline begin to happen in neighborhoods with foreclosed homes that are being taken care of. This is a call to action for all of us. We can reach out not only to our own community but other communities too.